Getting your car towed and/or impounded in Southern California is a confusing, time-consuming, and expensive process. Before it happens to you, there’s no way you can imagine how difficult it can be to get your car back without paying an arm and a leg. It will likely leave you wondering just how these towing companies are getting away with highway robbery. Unfortunately, the law is often on the side of the company towing your car. Even when the law is against them, it can be difficult to prove that they were in the wrong. In order to end the situation as quickly as possible, many people will throw up their hands and write a check rather than try to draw out the process any longer, even when the evidence suggests there was negligence involved. Why Might Your Car Be Towed? There are a number of different scenarios in which a car can be towed in San Diego. Of course, in most instances, a car is towed at the owner’s request, normally because of vehicle failure. In those instances, there will be some kind of service agreement that spells out the responsibilities and indemnifications of the towing company should something happen. 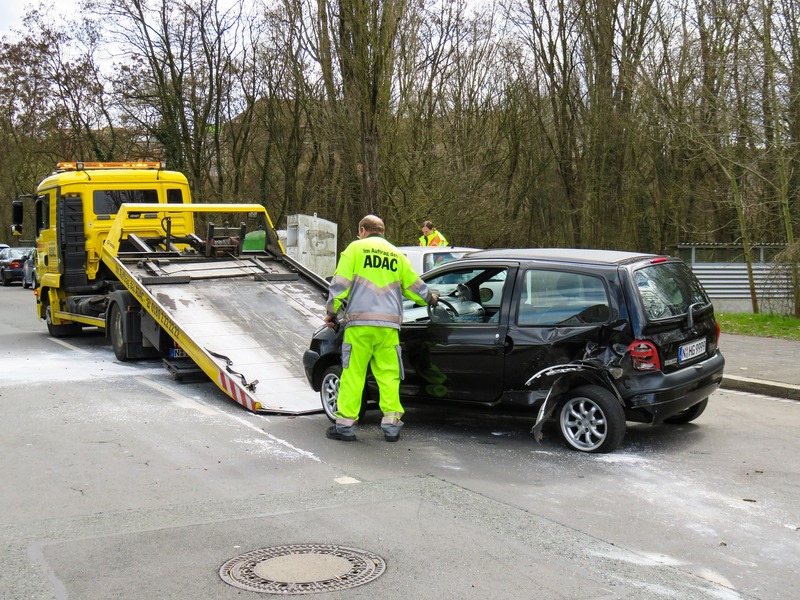 If, for instance, the car is damaged in an accident while being towed, the insurance company for the towing company would handle the claim, and it would need to be determined who caused the accident, much like a regular car accident. Of course, the insurance company may not be willing to pay out a fair amount, making it necessary to consult with a lawyer to determine what your options are. In other circumstances, a car gets towed without the owner’s consent because of an alleged violation. This could be at the behest of the government, such as when a car is illegally parked in a city parking space, has been abandoned at the side of the road, or after the owner of the vehicle has committed a crime. It also might be towed from private property, such as when a car is parked in a private lot. If your car (or other vehicle) was discovered on city property with five outstanding/unpaid parking citations. If your car was discovered on city property with a registration that has been expired for at least six months. Your vehicle has been located on city property for more than 72 hours without having moved one 10th of a mile. If your vehicle was found parked in violation of posted parking signs (such as a no parking sign. If your vehicle was found illegally parked and was not displaying a valid registration. If your vehicle was found parked in a hazardous position or in such a way as to impede traffic. If your vehicle was found on public property blocking a driveway and a complaint has been registered. If your vehicle was found parked in a carpool lane. Any of the above are reasons for San Diego authorities to tow and impound your vehicle. In addition, if your vehicle has been reported stolen, and is then discovered, law enforcement will notify you it has been found. However, if they are unable to reach you, or if you fail to come get your car within 20 minutes, they have the option to tow your vehicle and impound it until you come pick it up. What Happens After Your Car Has Been Impounded? Having your car impounded can be a stressful situation. Of course, the sooner you can rectify it, the better, and that starts with finding out where your car is. There are many lots throughout the city where it might be, including private lots for towing companies contracted by the city. Fortunately there’s a 24-hour hotline you can call toll-free to find out where your car is. No matter what reasons your car was towed for, there will likely be extensive fees you have to pay to get it back. This includes paying any outstanding fines you have on your record. The worst part is that the longer the car is held at the lot, the more they can charge you; and often the fee will go up while your trying to get it back, so it’s important that you have all of the proper paperwork, including your ID and registration. Finally, people frequently want to know who is responsible if a car is damaged while it’s being towed. Most towers are indemnified from responsibility for any damage that occurs while they are towing a vehicle, and this includes damage that is their fault. So, for instance, it can be very difficult to recover damages if their towing equipment scratches your car. It might be possible that your own insurance company will cover the damage, so it will be necessary to check your policy. Generally, if you want to recover damages from a towing company, it will be necessary to prove gross negligence on their part. If you believe that the tower was derelict in his duty while handling your vehicle, you should contact an attorney to discuss you case and learn what your options are. At Jurewitz Law Group, we are happy to help fellow San Diegans. Call one of our friendly and knowledgeable legal representatives today at (888) 233-5020 to schedule a free consultation.